If Golem is able to successfully become the full extent of what it has been intended to be, it will be an amazing technological advance with thousands of potential uses. Golem aims to be something like the “Airbnb of computing”; just like that empty room in the back of your house, your idle computer could be used on a network of computers to complete pieces of larger computing tasks while bringing you some extra cash. Golem’s network is both IaaS (Infrastructure as a Service) and PaaS (Platform as a Service). Golem aims to be the first “Worldwide Supercomputer”. Presently, the ability that a person has to complete tasks like rendering CGI, programming an AI, or processing large amounts of data is reliant upon the quality and amount of the equipment that person has physical access to. If you have subpar equipment, processing can take a very long time and use a lot of electrical energy–not to mention that the quality of the final product may suffer. For example–imagine that you have just completed the editing of your 2.5-hour-long masterpiece film, completely independently produced by you with nothing but a smart phone camera and your laptop. It’s time to render the film, and your only tool for this purpose is your trusty laptop. Since your laptop has low memory, and–let’s be honest–it’s a couple years past its prime, rendering takes hours. To make things worse, the rendering program needs a lot of computing power to work, and it keeps making your computer crash. You are so frustrated that you trash the entire project. Ok–hopefully that would never actually happen, but let’s reimagine this scenario with Golem in the equation. Your little computer just can’t complete the tasks necessary to render your masterpiece–but you’re not worried, because you know that you have access to an entire network of computers that can anonymously render your film in minutes. You upload the film’s data onto the Golem network, input a few details, send it off, and decide to make some coffee. The providers processing your film get paid in GTN tokens. Before the coffee is even finished brewing, your film has been rendered. You enter your film into some prestigious competitions, win them all, and make millions. Everybody’s happy. The point is that Golem will bring the most powerful level of computing power to anyone on the Golem network for low costs and low energy. If executed well, Golem will empower people all over the world who previously had limited ability to process information and complete tasks relating to business, science, medicine, government, cryptocurrency mining, and host of other things. So far, Golem’s only function is to render CGI; however, the full-fledged platform will have the power to change the world. How Secure is Golem’s Network? Since Golem is decentralized, there is no single entity that controls the network. This has the advantage of increasing both the reliability and the security of the network. If the network was based in a centralized location, it could be compromised by anything from natural disasters to malicious hackers. 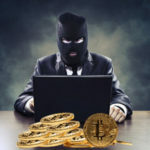 Additionally, users would have to put their trust in the third-party that controlled the network and processed their transactions and personal information. Because Golem’s platform is stored across a vast network of computers, an attacker or natural disaster would have to compromise the entire network in order to be effective. Therefore, Golem’s platform is extremely secure and reliable. Since there is no third party, Golem’s network is “trustless”–users don’t have to trust any third party to responsibly handle their transactions and personal information. To increase the security and privacy of both requesters and providers, computations happen in “virtual machines”. These virtual machines act as a protective layer between the requester’s data and the provider’s computational power. Once set into motion, Golem will be a decentralized platform for completing computing tasks using a giant cloud of computers. Users will upload computing tasks to the Golem network, and the task will be spread between tens, hundreds, or even thousands of computers that are connected to the network. Users who request computing tasks are called “requesters”; users whose machines complete tasks are called “providers”. Users on Golem’s network will exchange GNT tokens for computational output. For example, a node on the Golem network will use its computing power to render part of a larger CGI project. The node will then be allocated an amount of GNT in correlation with the amount of computing power it used. Golem utilizes Ethereum smart contracts to distribute payments. Smart Contracts automatically calculate and distribute the funds that a computer earns for completing a task without any third-party involvement. Transactions on Golem’s network happen through a multi-agent system that matches user requests with the appropriate computers to complete a given task. Tasks are defined by requesters with the user-friendly Task Definition Framework. Golem’s network also includes an Application Registry that allows any user on the network to create and release Golem-based applications, for free or for a profit (if they so choose). Applications could also be used to complete micropayments. The Switzerland-based Golem Project was officially incorporated in 2016, although the project had already been developing since 2014. Julian Zawistowski is Golem’s CEO and Founder. Aleksandra Skrzypczak, Piotr Jniuk, and Andrez Regulski acted as the project’s cofounders. Golem’s ICO happened on November 11th, 2016 (11/11/2016). During the sale, 1,000,000,000 GNT tokens were distributed in exchange for 820 ETH (about $8.6 million). In the first few months of its life, Golem hovered around $0.014; it saw a brief rise above $0.40, but has since fallen to $0.34 (at the time of writing). Because the price of Golem is so low, it is theoretically possible to make incredible returns from a relatively small amount of money; at this moment in time, $100 would get you just below 300 GTN tokens. That being said, the future is unknown–even the most promising “altcoins” tend to have volatile values, and have the potential to fail. Do not invest more than you are willing to lose. When searching for a cryptocurrency that would be a good investment, it’s always important to determine the value of the purpose that a particular currency serves. Does it solve a problem? Will it be adopted by lots of people? Does another coin do a better job of serving a similar purpose? With Golem, the answer to this question is a resounding yes. No decentralized system like Golem has ever existed before, and it seems incredibly likely that Golem will see large increases in value once its platform becomes fully functional. How Do Mining Pools Work?